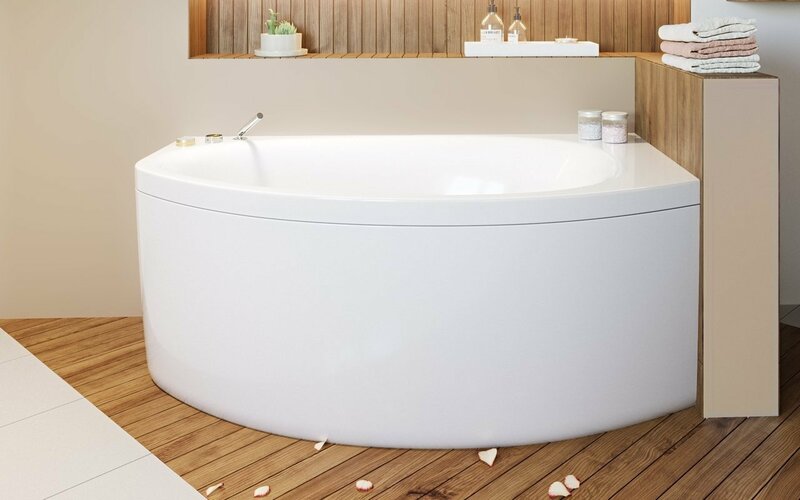 The Anette is one of Aquatica’s minimalistic and space-conscious designs, making it an ideal corner tub for any small bathroom project. 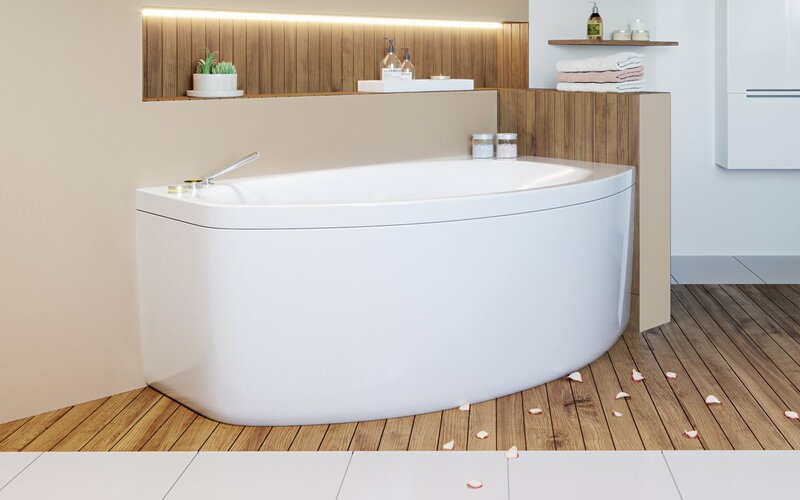 With its solid, one-piece construction, featuring thick acrylic walls for unparalleled heat retention and durability, this tub has added versatility as it is available in three sizes: 150cm (59 in. ), 160cm (63 in.) or 169cm (66.5 in.) and comes a left or a right hand installation version. Featuring a convenient corner installation and apron front feature, this model allows bathroom space to be used to its maximum efficiency. This small corner tub can also be completed with The Anette Shower Tinted Curved Glass Shower Cabin and Shower Panel. This compact corner bath delivers the ideal combination of space economy in bathrooms where space is tight. The depth at 20.75” ensures you can sit and enjoy a good immersive soak. Lean back against the ergonomically designed, supportive curving end wall and relax in warmth and comfort.